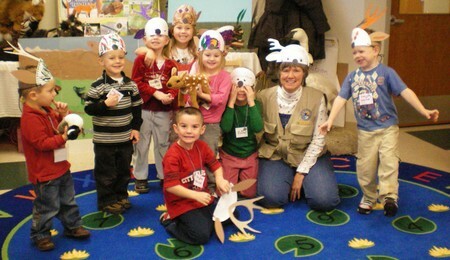 Through this drama classes for preschoolers will bring in so much benefit. For all their creative minds and inquisitive minds, drama will offer an avenue for all of them to express many of their feelings and give a general view of this world around them. Through this drama, they will interact with you and also with their peers, get them ready for much more fruitful interactions. Know with who you are dealing. Preschoolers are different in their own way from all other children from the other ages. It is essential for you to be much familiar with how all these kids think, and how they commonly feel also what their common primary concerns are. You must be able to find their developmental stages and see what all they can do or their level of concepts that they can understand. Preschoolers are all highly inquisitive individuals. They will fully utilize all the things that are around them to learn and practice. They are also excellent observers. They will use almost all of their senses in gathering the information about everything and anything. Most of which they have learned, practiced and understood will come from all their plays and games. While playing games and also going through their lessons, you must be aware of the time. For learning to be much effective for the preschoolers, you must be able to work with in the attention span, which usually it lasts for 30-45 minutes. Preschoolers will very much enjoy the playing “pretend” with each another. From this you will meet their interests with all your goals of teaching them. This will be much helpful for you to calculate and do research for their activities and some games with the only aim of tapping all their dramatic side. You should decide to use the elements of play; you must be able to make them feel more realistic to all your students. Encourage them to bring the props or stuffs which can be helpful to set their moods. Also encourage them with use of costumes. In a role-playing the child will be given an opportunity of how to think outside of himself. Then he should create the whole new set of the individual that he wishes to portray of. He must be able to think of about how he must act, feel and look, it depends on the character which he wishes to portray to people. A role-playing will stimulate the application of the child’s general view about the other people. It can also provide realistic portrayal of how the child sees people around him. Another great activity is playing “mirror” games with other child. Two preschoolers together will explain the rules of game. One of will do actions ahead, and other one will then follow the exact movements done by the first one. It will appear like the other one is a mirror view of the first one. The child’s ability of observing and coordinating his body in creating desired actions is to test here. Teaching drama to the preschoolers will be a welcoming and an easy task if you know how to entice interests and imaginations of the participants. They must never feel bored or feel burdened by the activities that are all aimed to bring their dramatic side.